Regular visitors to my site and those who follow me on Twitter knows how much I despise Malaysia awesome overpriced and lousy internet service. During my last trip to Singapore for Anime Festival Asia, I cannot rely on roaming as the rates will slaughter every single organs I have right now. So I did the sensible stuff that is to get a new prepaid number! Oh wait the process is not that straightforward after all. I’m always under the impression that getting a prepaid number is a painless process but not so for me. My first trip to SingTel outlet at Plaza Singapura, I was greeted by a nice gentleman who told me that I can only buy the SGD $38 prepaid as the cheapest prepaid package is only sold through money changer. Ok that is pretty redundant to me as why does SingTel not able to sell the cheapest prepaid at their authorised outlet? So off I went to the money changer and boom, they already ran out of the cheapest prepaid number. The money changer told me to try other places and well I don’t really want to waste any more time. I head to StarHub outlet instead. 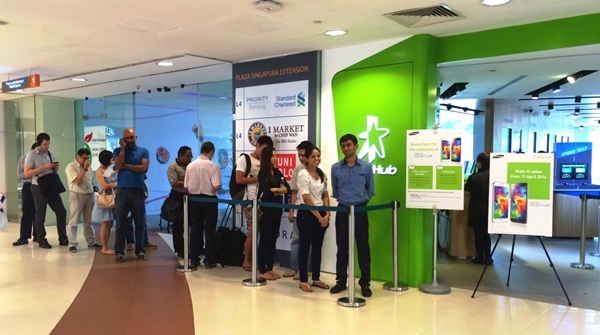 So at StarHub, the friendly staff ask me to wait in line to apply for a new prepaid number. I did asked them if they sell the cheapest prepaid package and yes, they do sell every package as advertised by StarHub. +1 for StarHub while -1 for SingTel for restricting customers from the cheapest package at their outlets. As I waited for my turn, the staff ask me for either IC or passport. Since I’m a visitor to Singapore, I produce my passport to him and he took it to scan the required information for the prepaid registration. Once that is done, he will ask which package I wanted and later ask me to choose from a list of available numbers. I went with the SGD $15 prepaid although truth be told, I didn’t managed to finish using it during my whole trip. Since I’m only interested with the mobile internet, I let him choose any number for me. He proceed to register the new number into my registration info and ask me to proceed to the cashier to pay for the prepaid number. Just a few minutes of queuing up, I paid for my new prepaid number for SGD $15 and voila, I am a new owner of a StarHub prepaid number! After replacing the SIM on my phone, I got greeted with two SMS by StarHub outlining the details to activate the SIM and also downloading the correct settings for my S3 Mini. Following the steps is straight-forward and my SIM is finally activated and ready to use! Well you need to subscribe to a valid package first be it voice/data or data only. Since I’m interested with data only, I subscribe to the SGD $7 package of 1GB for 7 days. Once done activating the data plan, all is good to go and finally I have internet access on my S3 Mini (which I also use as my portable wifi hotspot for my iPod Touch 4th Gen and also for others who need to use it). Frankly speaking, the mobile internet is pretty stable and the speed is pretty OK at Suntec Convention Center Hall during AFA. Sometimes there will be downtime (just like Maxis Malaysia) where it will say connected at HSDPA speed but lack of outbound or inbound data activity. Still the downtime are pretty brief and infrequent compared to Maxis Malaysia. ^This was the average speed inside Suntec City Convention Center hall. Pretty decent considering the internet speed back at my hometown is nowhere near to the speed shown here (and that is landline). If you going to stay longer than 2 days in Singapore and you have no access to a decent free wifi, I suggest grabbing a prepaid and utilise the mobile internet as the coverage in Singapore is pretty awesome. 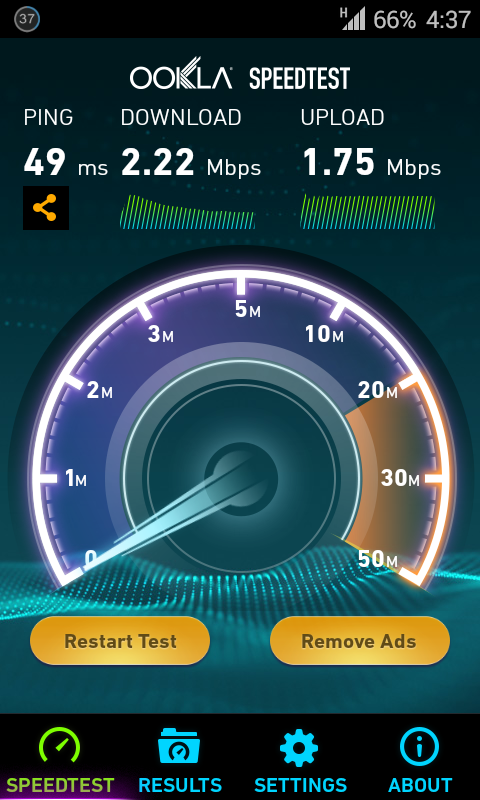 Even traveling underground with the MRT, the speed is pretty consistent at HSDPA speed for most of the journey. A quick disclaimer here, I don’t work for StarHub (if they sponsor my mobile internet usage over at Singapore, that will be a different story). 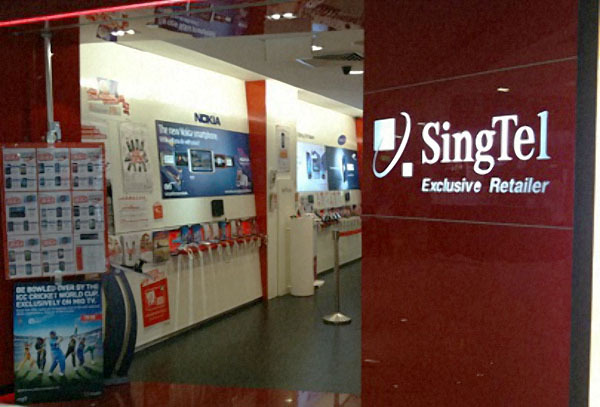 Also both SingTel and StarHub outlet that I visited is located at Plaza Singapura. Your experience may varies depending on the location of the outlets. If you hardly browse video heavy sites like Youtube, I recommend getting the cheapest possible prepaid. The cheapest prepaid for StarHub is SGD $8 and that is more than enough to subscribe for the SGD $7 1GB Data plan that lasts for a week. Since I’m in a hurry, I didn’t get the chance to explore other vendors like M1. You can try using their service just for a change of experience. Do take note that for SingTel, you need to buy the SGD $38 prepaid to be able to use 4G LTE speed. Be warned about this and I believe the same applies to other vendors too. Also be wary about the SIM card size that your phone uses. 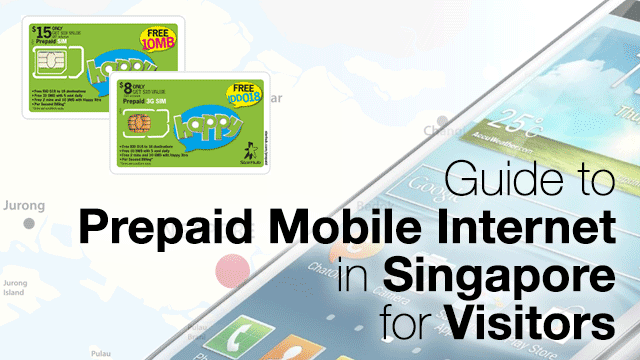 Cheapest prepaid often come in the default regular SIM size which cannot fit into iPhone or Galaxy S5. Another round of disclaimer here: This post is accurate as of 14 December 2014. Promotion and prices will change in the near future so remember to ask the sales rep if you are unsure about anything. Also both SingTel and StarHub photos are taken from the web and credits goes to the original owner.